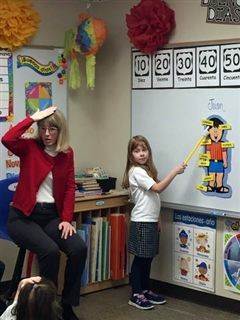 Your child’s story continues in our Lower School, home to 1st-4th grade students. 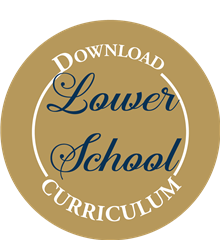 Lower School is a time of continued development of independence through acquisition of developmental independence in a safe, nurturing environment. Students are offered opportunities to explore academically and socially as they begin to further skill development as foundations for the creative and academic process. Creativity is important for students as they learn to work collaboratively with peers and to make connections between important ideas. Integration of academic content areas with relevant, authentic subjects of study offers students opportunities to develop their voice regarding interest and engagement of the academic process. Ultimately, lower school students are inspired to ask critical questions which open doors to a more mature academic and social transition to achieving success in middles school. In Lower School grades, students will gain from learning in self-contained classrooms where children benefit from having consistency in access to their teachers and a cohesive social dynamic in the learning environment. Small enrollment in classrooms with more opportunity for differentiation and support for learning. Collaborative grade level teaching teams that work to build continuity and wide perspective in planning curriculum and program. Comprehensive, research-based curriculum developed with an integration of content areas so that students experience connections and learn to explore more deeply.